LAS VEGAS – The Strip at Las Vegas Motor Speedway will host the 2018 NHRA Pacific Division Summit Racing Series Finals, October 4-7. Top drivers from NHRA member tracks across the Pacific Division will compete in five classes for individual and team honors. Classes include Super Pro, Pro, Sportsman, Motorcycle and High School. The event will also feature the Summit Showdown, a race within a race where the top points earning drivers from each track square off in head-to-head competition. Summit Showdown winners in the Super Pro, Pro, Sportsman and Motorcycle categories will advance to the Summit Series National Championship against the winners from NHRA’s other six divisions at the Auto Club NHRA Finals in Pomona, Calif., in November. More than 500 participants are expected to compete for cash awards of more than $30,000. Competitors in the High School class will earn a trophy, jacket and gold card. Drivers who advance to the Summit Series National Championship in Pomona will race for a purse of more than $100,000. Gates at The Strip at Las Vegas Motor Speedway open at 7 a.m. each day. Time trials begin at 8 a.m. on Friday and continue throughout the day. 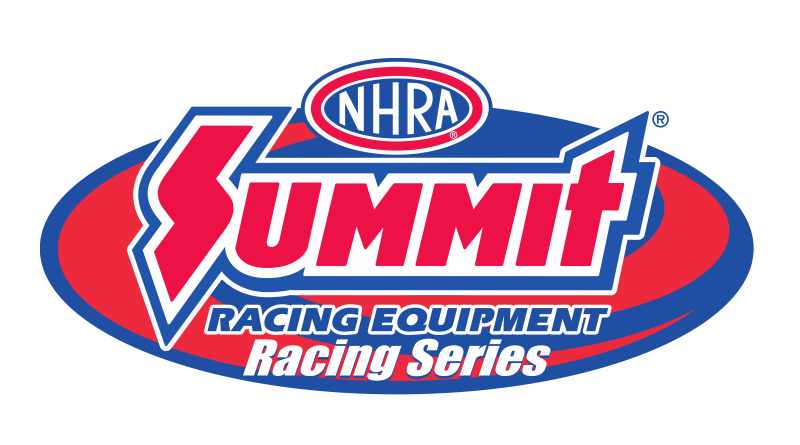 First round of eliminations for all NHRA Summit Racing competitors will begin on Saturday at 8 a.m. On Sunday, the Summit Showdown eliminations begin at 8:30 a.m.
DragChamp.com is your source for NHRA Summit Team Finals bracket racing news, results, and winners. Visit DragChamp daily for the latest bracket finals results.